HADRAMOUT, Feb. 2 (YPA) – Coalition militants in Hadramout province seized 122 illegal immigrants aboard a boat coming from Africa. 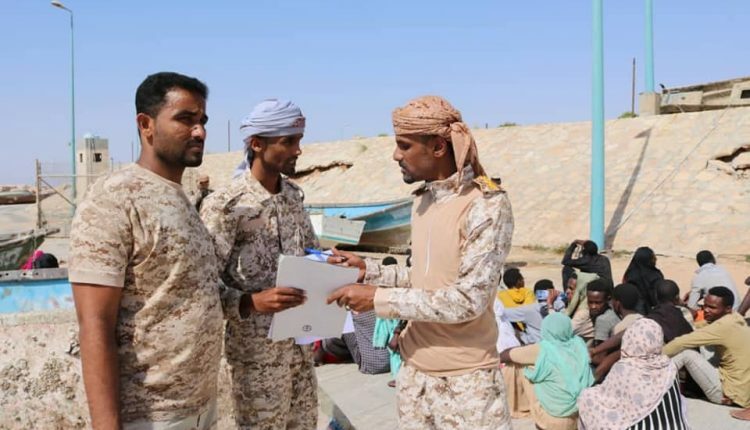 A statement issued by the so-called “military zone II” loyal to the coalition said that the boat contains numbers of illegal refugees, including 86 males and 36 females carrying Abyssinian nationality, in addition to nine males and four females carrying Somali nationality . Yemen receives tens of thousands of illegal African migrants every year despite the war waged by the coalition countries and the blockade which imposed for four years. Refugee organizations said immigration to Yemen had contributed to worsening humanitarian conditions in the country, which has the worst humanitarian crisis in the world. #Breaking: #NAJRAN – #Yemen army repels a coalition’s attack in Sawh area and destroys 2 armored vehicle.